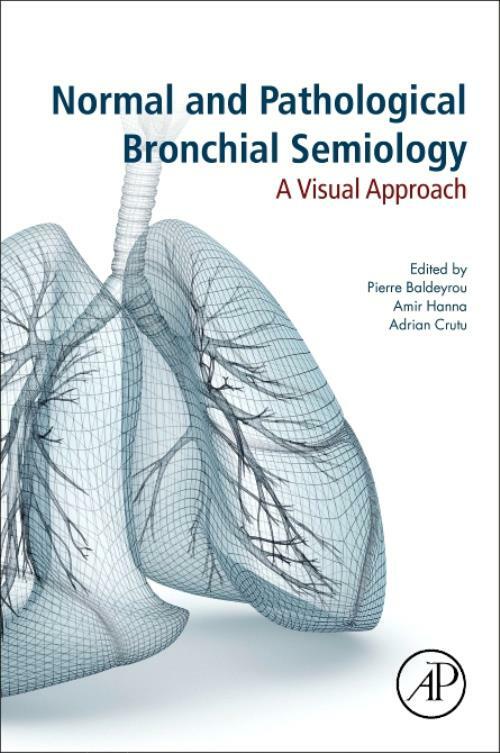 Normal and Pathological Bronchial Semiology: A Visual Approach provides normal endobronchial aspects, including variations, anomalies and abnormal findings. Comprehensive coverage includes preoperative airway assessment in lung surgeries, airways after surgery, including complications, process and management, and airway complications in lung transplantation patients. It is a full reference that is perfect for pulmonary researchers, chest physicians, bronchoscopists, pulmonologists and cardiothoracic surgeons. Pierre Baldeyrou was born in 1949. He completed his medical studies in Amiens and then Paris. In 1972 he specialized in Pulmonology and Bronchial Endoscopy. He learned the rigid bronchoscopy techniques from Dr. J.M. Lemoine in Clamart and Cre´teil, and from Dr. Oustrie`res at Tenon Hospital between 1973 and 1975. In 1975, he started a very long collaboration with the department of Prof. Pariente in Clamart and later at Beaujon and Bichat Hospitals (subsequently with his successors, Prof. Fournier and Prof. Mal). In late 1975, he joined the Department of thoracic Surgery of Prof. J. Aigueperse and Prof. G. Lemoine of CMC (Medical Surgical Center) in Porte de Choisy. In 1980, he became a consultant in Pulmonology and interventional bronchoscopy at Gustave Roussy Oncology Institute in Villejuif. Later, he continued his collaboration in thoracic surgery with Dr. Bisson, followed by a professional growth at Marie Lannelongue hospital with Prof. Dartevelle and Prof. Fadel. His publications and collaborations focused on pulmonology, thoracic surgery, diagnostic and interventional bronchoscopy, endobronchial ultrasound, endobronchial brachytherapy, and treatments of lung cancer. Throughout his professional life, he taught young pulmonologists the various endoscopic techniques and the bases of bronchial semiology; this work is the result of experience accumulated of more than 40 years of reflection and practice. Dr. Hanna graduated in 2010 from the Faculty of Medicine of Cairo University with a Bachelor Degree in Medicine. He completed his master's degree in Pulmonary Medicine from Faculty of Medicine, Cairo University, to join the Chest Department at Dar Al Fouad Hospital of Egypt in collaboration with Cleveland Clinic of the United States. In 2015 he moved to Paris to join the Cardiothoracic and Lung Transplantation team of Marie Lannelongue Hospital, where he developed his great interest in the field of Interventional Pulmonary Medicine, Thoracic Oncology, and Lung Transplantation. Formed and trained under the supervision of Dr. Baldeyrou, in a relevantly short period of time, he was able to assist and perform thousands of bronchoscopies (flexible, rigid bronchoscopy, as well as endobronchial echoendoscopy), culminated in his excellence in the field of Interventional Pulmonary Medicine. He is currently conducting his PhD thesis, a collaborative research between Cairo University and Centre Chirurgical Marie Lannelongue. to achieve a level of excellence in the field of interventional pulmonology. He has a constant interest for interventional pulmonology, thoracic oncology, and pulmonary transplantation, and he completed postgraduated formations related to these topics. He is currently committed in developing different research projects in the field of interventional pulmonology.